The government issued a regulation late last year to make more investors eligible for tax holidays, but applicants are unable to avail themselves of the incentive as the online single submission (OSS) system is not ready to accommodate their request. 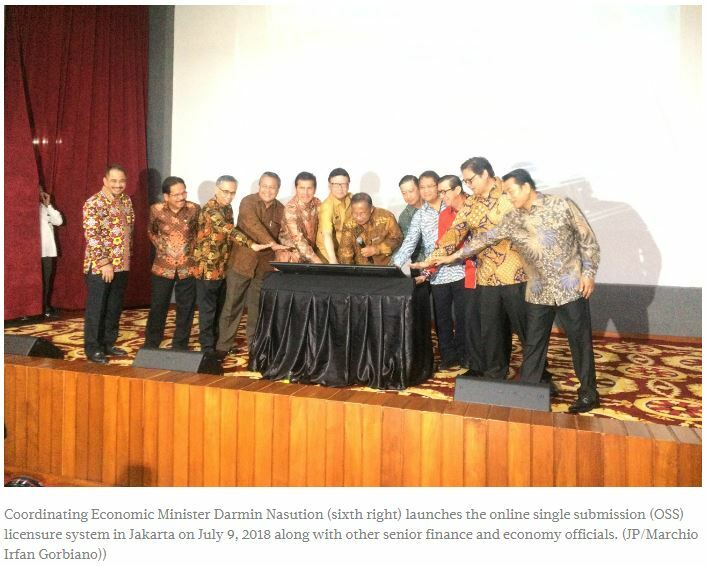 The Investment Coordinating Board’s (BKPM) official for investment services, Husen Maulana, said a number of investors had expressed their wish to apply for the fiscal incentive since the issuance of Finance Ministry Regulation No. 150/MPK.010/2018 on tax holidays. “But the submission of their documents has been delayed pending [an upgrade of the] OSS system to accommodate the tax holiday. Hopefully, the system will be ready this month,” said Husen in Jakarta on Monday, as quoted by� kontan.co.id. In addition to the expansion of the range of industries and� business� fields (KBLI) in which investors can apply for the incentive, the new ministerial regulation also stipulates criteria for� businesses to be eligible for the tax holiday. All those aspects are to be included in the OSS system, so that the applications for tax holidays can be processed through the online system. He said the application system for tax holidays was being discussed by officials from the Office of the Coordinating� Economic Minister and the Finance Ministry’s Fiscal Policy Agency. “The discussion starts with the flow of the submission process, the verification, the types of application forms and notification. We have built the system, but there are a number of technical issues regarding the approval of tax holiday requests through the OSS system that still need to be agreed,” Husen added. Meanwhile, the head of the Finance Ministry’s individual income tax division, Sulistyo Wibowo, confirmed that no new investors had obtained a tax holiday since the new regulation was issued, while tax holidays granted to 12 investors were based on the previous regulation (PMK No. 15/2018).